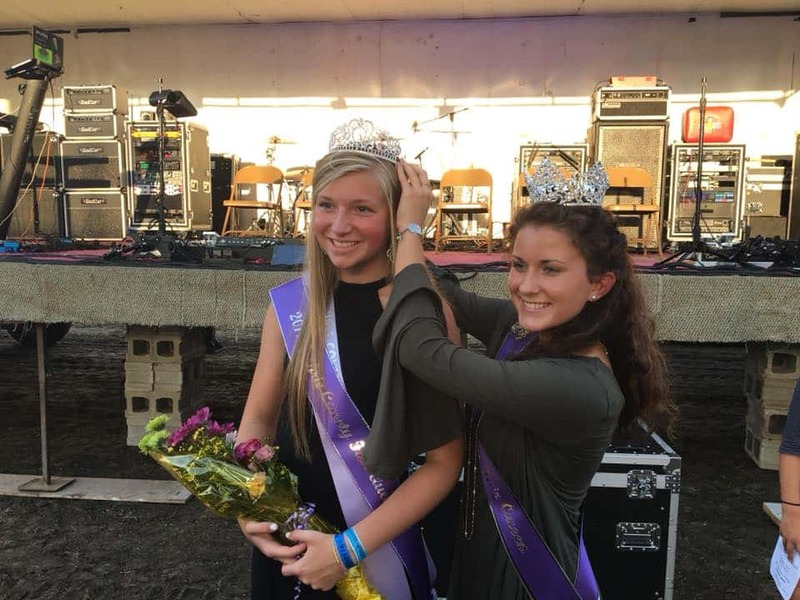 Taylor Lemke (Left) is crowned the 2019 Guthrie County Fair Queen by Iowa State Fair Queen, Hailey Swan of Davis County. The Guthrie County Fair has a new queen. 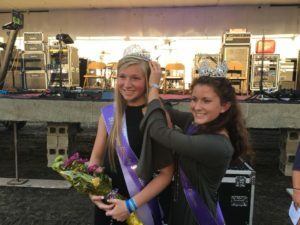 Taylor Lemke of Guthrie Center was crowned the 2019 Guthrie County Fair Queen at Saturday night’s coronation ceremony. Lemke, the daughter of Dave and Kelli Lemke, received the crown and sash and will represent the county at the Iowa State Fair next year. In addition to the title and royal accessories, Lemke received a $300 scholarship from the Guthrie County Fair Board, a $100 gift certificate to Pearls and Lace Boutique, professional head shots courtesy of Natural Expression Photography, and a floral bouquet from Panorama Gardens. The other candidates in order of placement were Hailey Bates, Anna Lauritsen, and Mia Schreck. Lemke received the crown from Iowa State Fair Queen Hailey Swan of Davis County and will take the place of 2018’s queen, Chelsea Larsen.